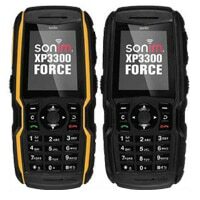 Sonim Technologies, maker of “the world’s toughest mobile phones”, is to add near field communications technology to its XP3300 Force handset later this year. The phone, designed to withstand being dropped from a mountain edge or immersed in water, is the latest in the company’s line of rugged handsets designed for workers in the most extreme environments. An NFC and RFID-enabled model will be sampling at the end of the first quarter with product shipping in the middle of the year, Sonim’s Roy Vervenne has told NFC World. The XP3300 Force model has enterprise class GPS capabilities for real-time location tracking, a 2MP camera, long battery life and active noise cancellation.